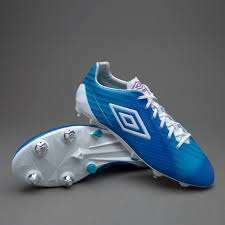 Umbro football boots ideal for use on firm dry natural grass surfaces with a textured microfibre upper that provides grip in all weather conditions and a heat-welded A-frame cradle to stabilise the midfoot. TPU soleplate with moulded studs. Lots of colours and sizes available! Thanks for posting. Could you remember to include the price and merchant …Thanks for posting. Could you remember to include the price and merchant in the deal title?